Tributes are being paid to a 22-year-old from Dartford who has been stabbed to death in the holiday resort of Ayia Napa in Cyprus. George Low and a friend were attacked in the early hours of yesterday morning. Mr Low died from a stab wound to the neck, while he friend suffered knife wounds to his back but is expected to make a full recovery. 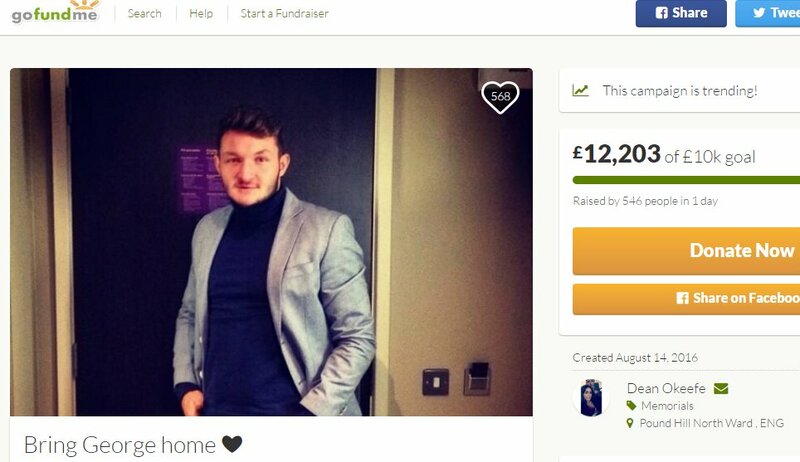 Two fundraising pages have been set up to help George's family pay to bring his body back home to the UK and to pay for the funeral. One of them has received more than £12,000 in donations.